Sato Racing Frame Plugs offer a stylish solution for hiding the exposed frame holes on a Ninja H2. 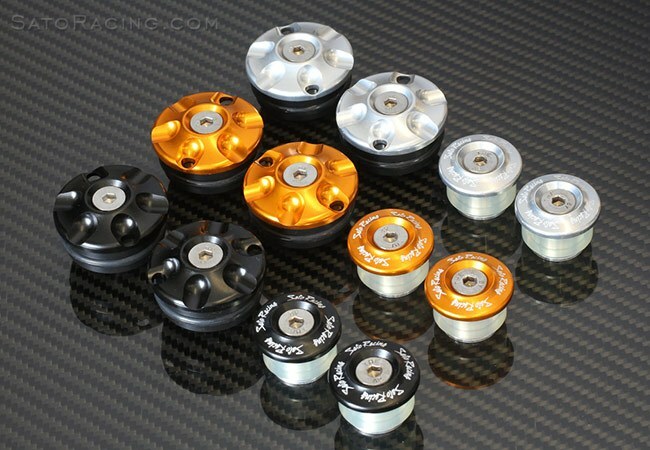 Made of anodized billet aluminum, with expandable inserts to keep them firmly held in place. Choice of Black, Silver or Gold. 4-Piece Set (2 Frame Plugs per side).